Find a property in an area you are interested in. Arrange a viewing at convenient time by contacting us by phone or e mail. View your selected property asking our representative as many questions as necessary. If you are interested the property you have viewed, fill in application form available from person showing property or from this web site. If application is successful we would request you to pay the deposit, usually deposits are paid in cash. Arrange for gas and electric services to be on when you move in possibly needing to get payment cards from the relevant utility companies see advice on frequently asked questions. You will need to make arrangements with a removal company to help you move you. On moving in day we will meet you at the property hand over the keys and show you how the heating system works and any other information you may need to know to make you comfortable and safe. After moving in you must contact council tax and water rates to inform them that you have moved in. Relax and enjoy your new home. 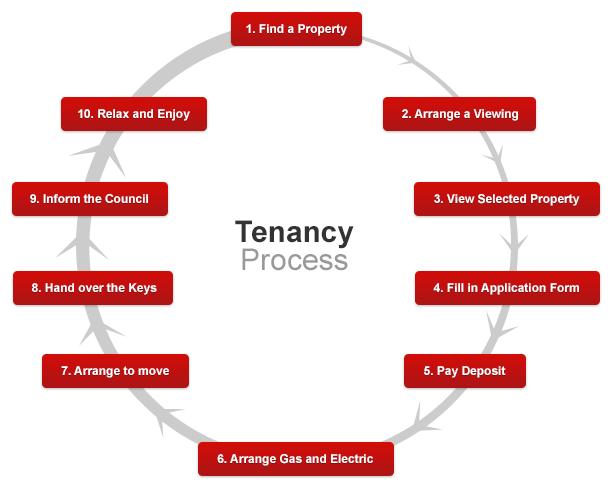 Please fill in the Tenancy Application form online, or alternatively download the paper version available through the download link below.